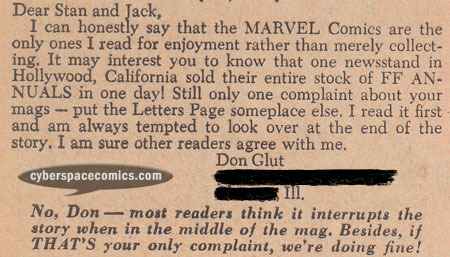 Don Glut has worked as a screenwriter for cartoons including Spider-Man, G.I. Joe, X-Men, Transformers and many more. He created some of the characters and much of the back story for the Masters of the Universe toy line, which later served as the basis for the cartoon. He got a letter published in Fantastic Four #24 (cover date – March 1964) at the age of 20.